Jones Honda, part of the Jones Family of Dealerships in Lancaster, Pennsylvania, has a great reputation for retaining customers and providing outstanding sales and service experiences. What the dealership lacked, however, were the tools and marketing strategies needed to get those customer onto the lot in the first place. With a loyal active customer base and excellent retention, the question became; “How do we grow and get new customers walking through our doors who have never heard of Jones Honda?” With all economic indicators pointing towards a slowing market, this was a question Jones knew he needed to answer. From there, the dealership expanded, opening a GMC franchise in 1984, Acura in 1990 and Buick in 1999. Lancaster County isn’t a large metropolitan area, but there is still stiff competition when it comes to where customers decide to buy a car. Besides the many other franchises around Jones Honda, there are three other large Honda stores within a 40-minute drive, and still more competition in nearby Maryland and Delaware. 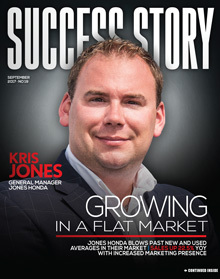 To hold their own against their rivals, Jones Honda has recently remodeled its store into a state-of-the-art facility. Jones knows, however, that the true value of a dealership is with its staff. Because of this, the company focuses on training and providing a culture that supports staff longevity to enhance customer service and satisfaction. Training is also a key factor in Jones Honda’s processes. The dealership has contracted with David Lewis and Associates to provide new hires in their group with a five-day sales process training. “It takes our new employees from start to finish, so it starts on a Monday and by Friday, they’re done,” Jones said. “Saturday, they can come in and take a prospect through the processes up until the negotiation part. In the first week, they don’t spend lot of time going over our negotiation strategy only because each store does it a little different. Once they get through the initial training, there are various courses covering closing, objection handling and more. It’s nice because the training facility is only an hour away for us.” Advanced classes and refresher courses are also provided for experienced staff members to keep the sales team sharp and motivated. 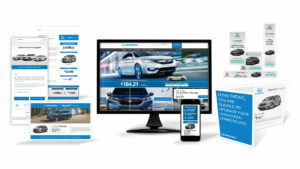 Jones knew he wanted a marketing company much more responsive to his dealership’s needs, a company that his dealership could stick with for the long term who truly understood the car business. After searching for a company that would meet his needs, Jones and his team selected Team Velocity Marketing as the right agency for the job. “We were looking for a long-term solution that could move the needle,” he said. “We got away from our last ad company and went 100 percent with Team Velocity. 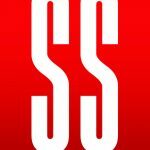 They handle every aspect of our marketing and advertising. From SEO and SEM, to direct mail and equity mining with email. They even produce all our traditional TV and radio spots — everything. And we’ve seen a tremendous uptick. It’s been worth the investment.